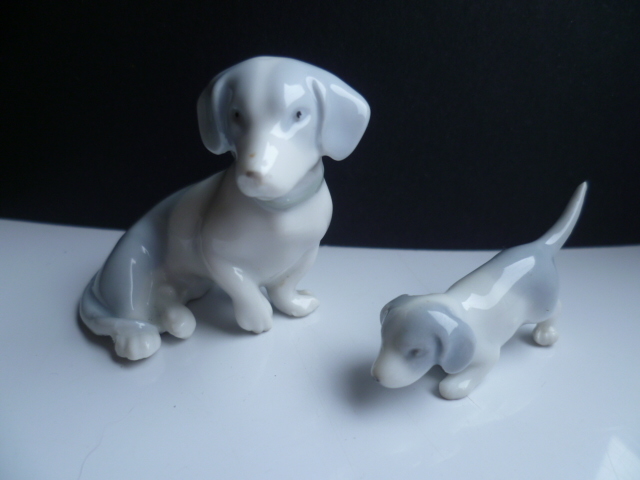 Oh and another set of miniature china dogs. 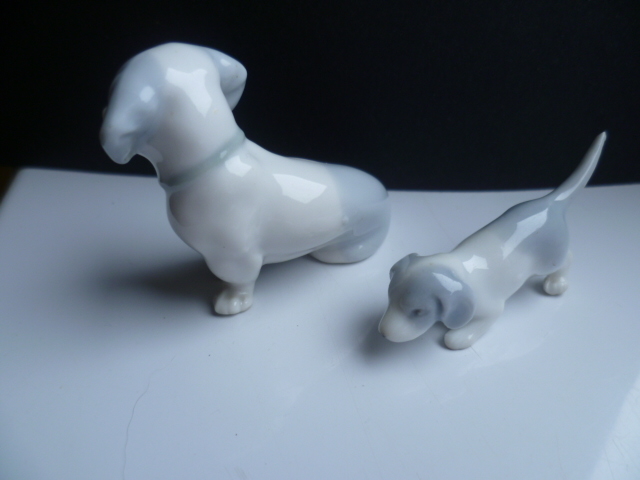 Apparently there were in a set of 3 or 4, I thought it would turn out to be a Cmielow mark but does not look so. 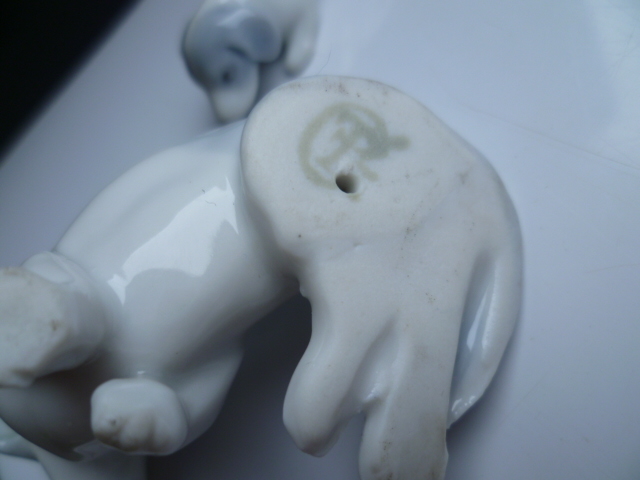 Someone has a CP mark on some GDR pieces but no image of the mark with it?